The wonderful world of Brillantmont! 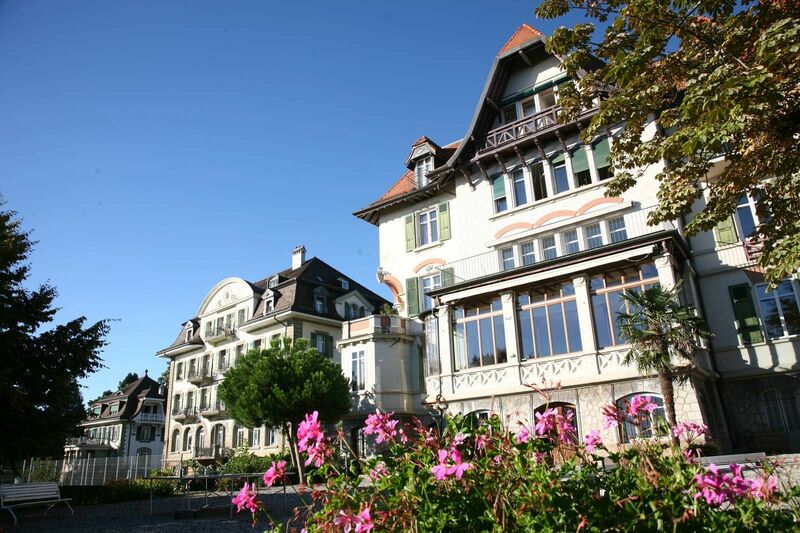 Life in a Swiss boarding school isn't just about the learning. It's also about friendships, shared experiences and connections. These last a life-time and alumni across the world are in contact with each other about forty or fifty years and are god-parents to each others' children. Many alumni also keep in touch with the school and particularly with their teachers, who delight in the life stories of their former students and take great pride at having contributed to making them into the person they are today. My name is Johanna Landert-Taylor and I taught French for several years during the Brillantmont Summer Course. 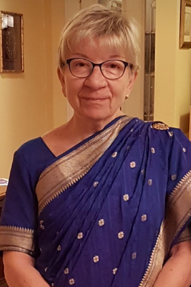 Now enjoying retirement in Canada, I wanted to share with you my recent trip to India, where I met up with two Brillantmont alumni. 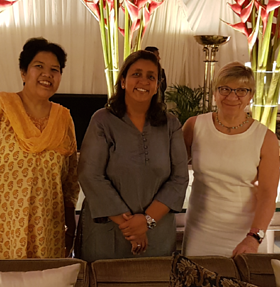 "Here we all are together in India, 28 years after we met at Brillantmont, me as the teacher and the then "girls", my students. Even though I live in Canada and Aruna and Serena in India, the geographical distance has never separated us. Initially letters were written and now with today's technology, messages, telephone calls and are frequent. 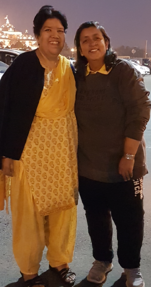 Whenever we meet, obviously Brillantmont which brought us together is always a fun subject of different memories, mine as a teacher, theirs as students! Both Serena and Aruna even remember the French songs we used in class which means that like true friendship, music knows no time or boundaries and is always with us. We all lived in "le Chateau" and we remembered the students' fun in having a real grocery store on the balcony, waiting for shooting stars. The only one I saw had little red and green lights - so much for a star! We all were fortunate to spend time together in Jodhpur with Aruna, Serena and their young children in 2000 and later in 2009 in Washington,DC where we met Aruna and her family, since her husband, a Major general in the Indian army, had been invited by the American government to spend a year in the US. Now their children are grown; Serena's daughter is studying in Paris while Aruna's children are studying in India. We don't know when or where we will meet next, but thanks to Brillantmont, we shall always keep our friendship."